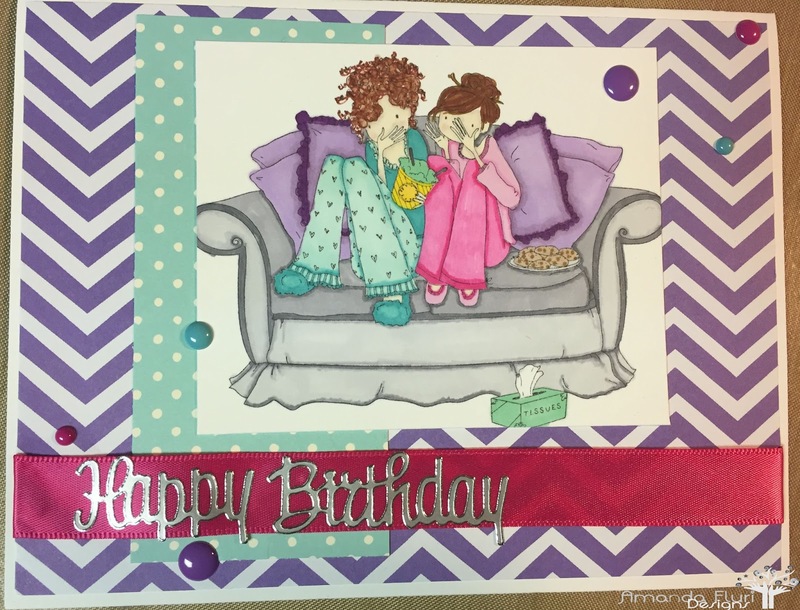 Hey Everyone, I am back to share with you a Birthday card that I have created for a couple card orders that I've been working on. I decided that I wanted to play along with a challenge that I haven't had the chance to play along with for quite a while since things here have been very busy. 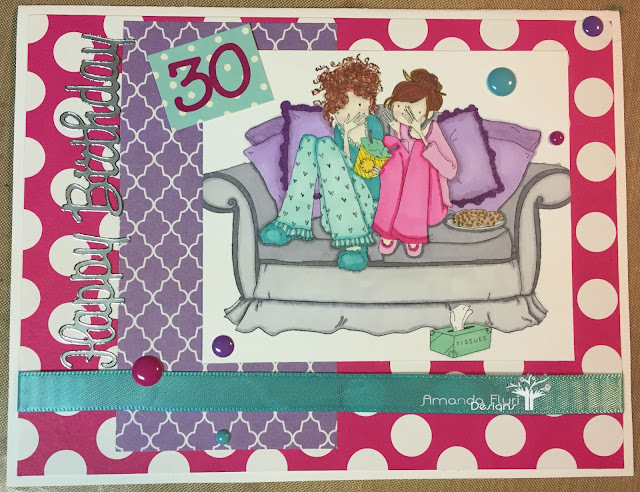 I am trying to ease back into playing along with some of the challenges that I love the most, and creating cards with them with the Challenge details included in the card. 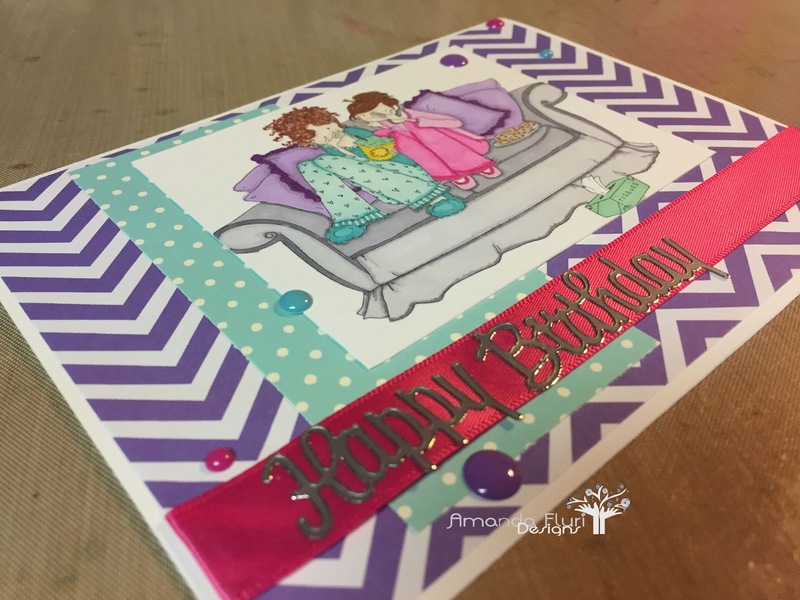 This time I have decided to join the fun over at Stamping Bella and thought I'd play along with the Bellarific Friday Challenge. 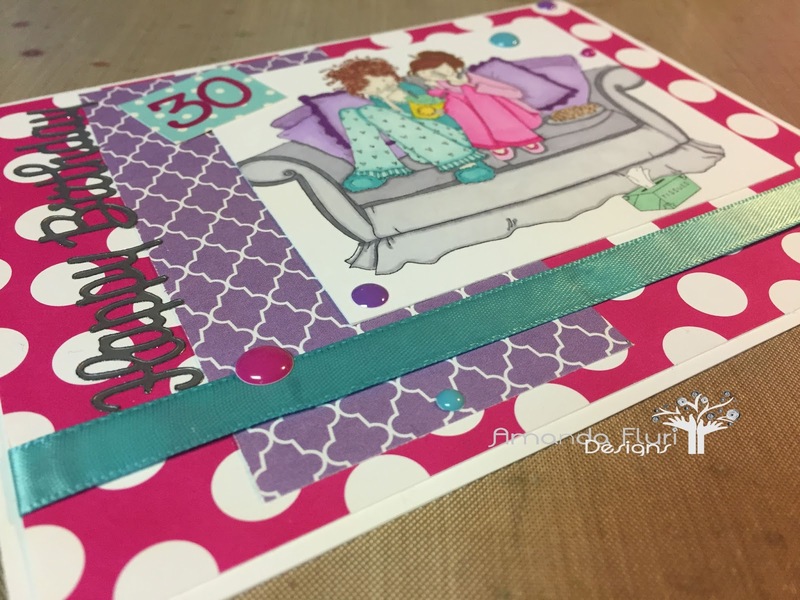 The Challenge this week is a sketch challenge, and the only requirement is to create a card using this sketch while using a current Stamping Bella stamp. Why not join me in playing along!? I created 2 cards for this challenge. Both of them are similar however I have added an age to the one, and changed the position of the Happy Birthday wording too. I will share both of the cards here with you starting with the one that I am entering for the challenge, followed by the additional one with a slight layout change. I had so much fun digging out my Promarkers, and just sitting and colouring these images. Its been quite a while since I created a card with so much colouring details. My colouring is somewhat rusty, but I am working on getting better at it again. I coloured both of the images the same, but changed up the pattern paper pairings with what I had available to me in my scrap drawer. I love how each of them turned out, and I really hope that the recipients of these cards like them too! Acrylic Block - used to attach the stamp to in order to help stamp the image. Double Sided Tape - used to attach the various layers of paper to the card front. 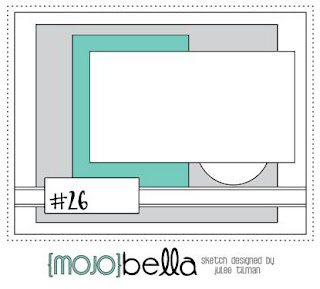 Stamping Bella - Reilly Needs to Relax - used for the main image on the front of the card. 110 lbs Cardstock - heavy weight card stock used to stamp the image onto. Thanks for stopping by! Please leave me some love below!